Extendable golf ball retrievers were invented to access balls, which get stuck in sand traps or water holes, or simply go really far out of the way. They fold up for convenience and are suitable for experienced golfers and novices alike. Smaller ones can reach six feet when extended, while the larger ones can reach up to 24 feet. If you’re tired of chasing stray golf balls around the course, a golf ball retriever is something you can’t do without. Some players have to reduce their golfing time or even quit because of back problems that make bending over excruciating. Don’t become one of them – once you buy a golf ball retriever, you will wonder how on Earth you ever enjoyed golf without it. The Search And Rescue Retriever was designed to retrieve a golf ball with stainless steel rings at the end of the device. It’s reasonably priced and comes with a head cover. In general, it uses high quality materials such as powder coated aluminum and stainless steel to create a durable product. The Search and Rescue model is excellent value for money. Golfing often turns into fishing or swimming when you lose golf balls in lakes or ponds on the course. Most golfers do not wear rubber waders on the golf course – obviously. 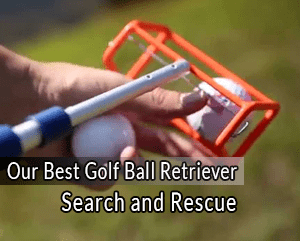 You can use the Search and Rescue Retriever instead of spending time wading in water and mud to find your lost balls. It can extend up to 24 feet and is able to scoop up two golf balls simultaneously. The orange color of the product makes it easier to see while you are scooping the ball in the water. The telescopic shaft can be adjusted to shallow or deep water. It will lock in place during use and then fold up to a compact size, allowing you to stay clean and dry the whole time you spend on the course. 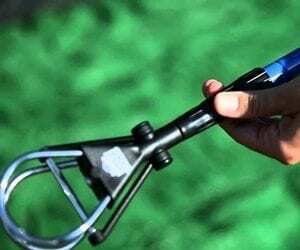 This is a smart ball retriever, which collapses conveniently into about a two-foot length and can fit easily in the side compartment of any walking bag. The mechanism to trap the balls can take a while to get used to, but you’ll be able to get even the hardest to reach balls quite soon. 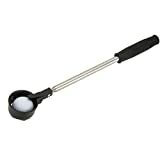 This extendable golf ball retriever retracts down to 20 inches for easy storage within your golf bag, but extends to 14 feet. It is made using lightweight, high quality steel and weighs just 12 ounces in total. Of all the I Gotcha models, the Executive XL model is the best quality and most popular. Albeit being costlier than many of its competitors, it’s still great value for money considering its size and quality. This top quality golf ball retriever is known to last for years on end. Taking into account individual differences, it comes in five different sizes. It is perfect for shorter people or for children who are learning to play golf. The XL Executive has a telescoping shaft and is flexible and user-friendly. It helps users retrieve golf balls at the speed of light. You’ll be the envy of all your friends when they see how quickly you can retrieve stray golf balls. 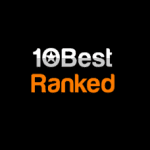 You’ll never lose a game, always being back in it quickly and easily. This fantastic product is very easy to use in water, brambles, and bushes. It fetches golf balls that would never have been discovered otherwise. It is a bit too heavy, but its compactness and good quality make up for that. Many happy users recommend this product for its extra strength. The extra weight is required too. Company service is really good. It works both on land and in water, features and very simple release mechanism, and extends with a single pull. The Signstek offers players the convenience of a product that can also scoop golf balls up from the ground. This will save you time and, more importantly, reduce the risk of strain on your back and neck and subsequent health problems. The Signsteck has a telescopic shaft made of top-grade, highly durable stainless steel. This is not at the expense of convenience – the device is light enough for any player to hold. The rubber handle features a comfortable grip for easy holding, while the shaft can extend to 7 feet. The scoop’s automatic locking device keeps the golf ball from dropping. It is foldable and brings the ball right back. This product will let you spend more time playing golf and less time picking up golf balls. Balls can be retrieved from anywhere, including lakes, ponds, or beyond a boundary fence. One of the unique features of this product is its dual-zip head cover, giving it the appearance of a club in your golf bag. The cover is made of heavy canvas and protects the product until you are ready to use it. It also keeps the retriever from hitting and possibly doing damage to your golf clubs. The Callaway ball retriever can extend up to 15 feet and is made of a light-weight aluminum alloy. The retriever can pick up lost golf balls from anywhere, not least thanks to the fact that the handle is ergonomic. It is in the same class as our number two pick, the I Gotcha, as its parameters are very similar. Like the I, this golf ball retriever reaches a length of 15 feet and retracts to just 45 inches. As with most products manufactured by Callaway, this one is made from stainless steel. This product is relatively expensive, but the shorter Callaway models cost much less, so users are able to pick the most optimal price to performance ratio. This model has a 6-foot reach and can reach the vast majority of golf balls in ponds, lakes, and bushes. Despite its being aluminum, it will not bend when it is extended. This is a great golf ball retriever that will stand the test of time. If you own Callaway merchandise, you know this already. It is a worthwhile investment that will come in handy when you play. It’s easy to maneuver irrespective of skill level and makes it so easy to recapture lost balls that players often report coming home with more balls than they took. This golf ball retriever is relatively long, reaching a full 18 feet. It also comes with a year warranty from JP Lann. The long reach can come in very useful for golf courses with many ponds. When you’re not using it, it can be retracted to 45 inches and stored in a golf bag easily. 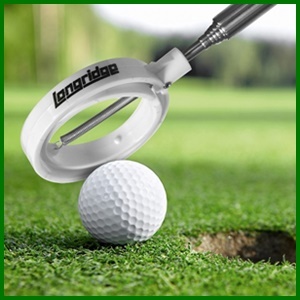 The hinged cup at the end of the retriever has been designed to pick up any golf balls easily and without any hassle. This is a very long golf ball retriever with an excellent price that does not compromise on quality. The hinged cup is not the only advantage of this product – it has a shaft of anodized metal, thus preventing corrosion, and a comfortable rubber handle. It can be used in mud, sand, water, or any other rough terrain. The collapsible JP Lann Metal golf ball retriever can meet even the most specific needs on the golf course. When you are not using it, just slide it into your bag with your clubs for easy and convenient carrying. It is available in orange pressure cup or metal hinge styles. There are also 9, 12, and 15 foot sizes, as well as a 6 foot 7 inch compact, but this doesn’t feature metal hinge, just the orange pressure cup design. This retriever does not disappoint, scooping the ball up much quicker and easier than many other product styles. The best feature of this product is the telescoping extender tube, which is far superior to the traditional turn-and-lock type system. Due to this feature, however, the press fitting gets loose after a few uses, which is a distinct disadvantage of this model. Some sections of the tube end up slipping down with the weight of the tube. You can buy most quality golf ball retrievers at a decent price. They can make your game easier and you won’t have to replace expensive golf balls any more. A good ball retriever will save you some much-needed, precious time and effort even if your ball does stray. When choosing a golf ball retriever, one frequently needs to compromise between length and portability. It would make sense to buy the longest ball retriever available, but many of these are hard to transport in a golf bag. Before buying a retriever, players should have a good estimate of their planned storage place to make sure the product will fit when fully retracted. This may be a club slot if there is extra room or a side pocket on a golf bag. You should also take the build material into account when deciding what ball retriever to buy. Players would be wise to look for one that is made out of aluminum or stainless steel because the retriever will be exposed to water on a regular basis. This is important as stainless steel and aluminum do not rust. On the other hand, you should double check the weight if picking a stainless steel model. Some ball retrievers are too heavy – they will be unwieldy and hard to use when fully extended. If you are concerned about the ball falling out after being fetched, look for a retriever that is equipped with some sort of locking mechanism to keep the ball safely in place. If you like to scour lakes and ponds for abandoned balls, we recommend a retriever with a head designed to pick up more than one ball at the same time. For example, our first choice, the Search and Rescue Golf Ball Retriever, has room to hold two balls at a time. This makes it possible to retrieve more balls with less effort. 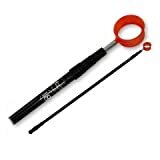 Our top choice is the Search and Rescue Golf Ball Retriever because it is affordable, flexible, and easy to use. We find it superior to any golf ball retriever we have ever used in terms of productivity and helping you get back in the game as quickly as possible. It is great for professional golfers and novices alike – you’ll find it helpful regardless of your skill level. We hope you enjoyed our list of the 5 best golf ball retrievers this year. Each of the products reviewed here, not just Search and Rescue, are sure to suit your golfing needs. We wish you luck – share your experience here with us in the comments section down below.